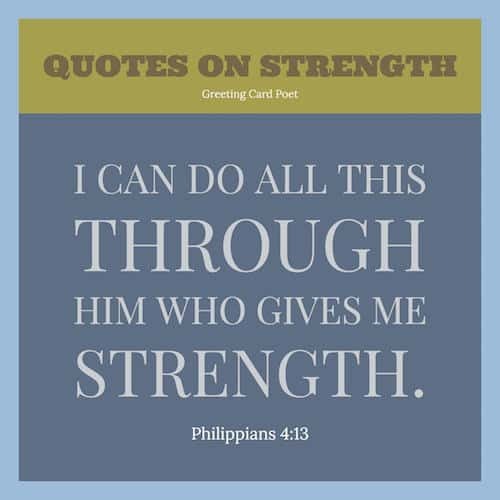 Quotes about strength can help you to recognize your inner potential develop that unforgiving will power which would eventually be the wind beneath your wings. Sometimes in order to pursue our dreams, all that we need is a little push and that push can come from a random quote at any random place. Life is definitely hard and when you have an impossible goal, the mission becomes even harder. 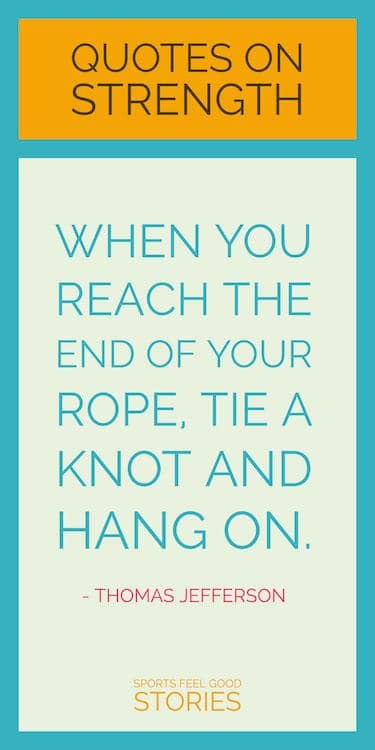 These strength quotes can provide you with the courage and will power to keep pushing yourself for your ideal, even when the whole world stands on the sidewalks and decides to laugh at your ideologies. All the adversity I’ve had in my life, all my troubles and obstacles have strengthened me…. You may not realize it when it happens, but a kick in the teeth may be the best thing in the world for you. Check out these quotations about strong women. Courage is looking fear right in the eye and saying, ‘Get the hell out of my way, I’ve got things to do. I believe in being strong when everything seems to be going wrong, and I believe that happy girls are the prettiest girls. I believe that tomorrow is another day and I believe in miracles. 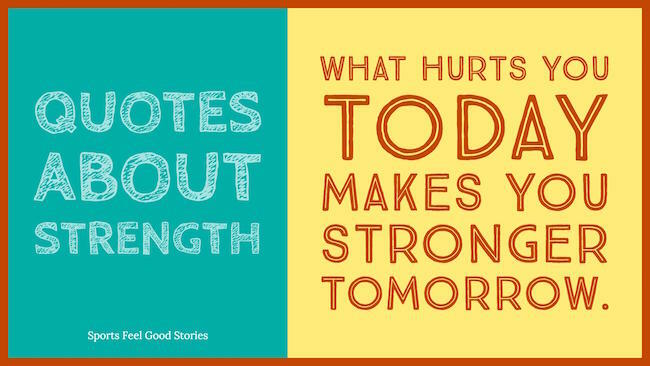 Tip: These quotes about strength make great photo captions on social media. Be very strong, be very methodical in your life if you want to be a champion. I love the man that can smile in trouble that can gather strength from distress, and grow brave by reflection. ’Tis the business of little minds to shrink, but he whose heart is firm, and whose conscience approves his conduct, will pursue his principles unto death. If you have any suggestions for quotes about being strong, please let us know on the Contact page. Thanks. You’re on Quotes about Strength page.